Philippines or Laos: which country is more expensive? This comparison of travel costs between Laos and Philippines examines average prices across multiple categories. Please visit each country's individual budget page for more detailed information. Should you visit Philippines or Laos? 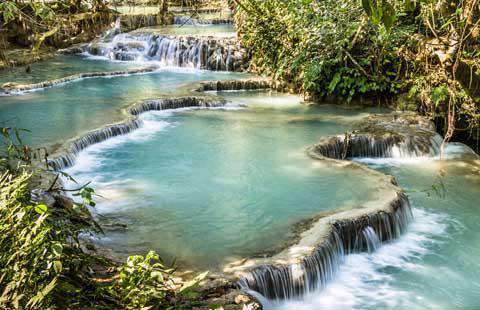 Laos and the Philippines are both on the typical Southeast Asian backpackers' route, but are also visited by higher-end tourists from around the world. They both have roughly the same travel costs, as they are both developing countries. While Laos is known for jungles and eco-tourism, the Philippines also offers the experience of visiting tropical islands with white sandy beaches and crystal-clear waters. Laos is one of the cheapest places in the world to visit, and is known for adventure travel, ecotourism, and its laid back atmosphere. For all of these reasons, and the low cost, it is very popular with the backpacking crowd. However, in recent years it has seen more of an influx of higher-end tourists looking for ecological wonders in the mostly untouched jungles of this tropical nation. When is the best time to visit Philippines and Laos? Laos is warm year-round. The dry season is from October to April, and the wet season is in the summer months. However, don't expect the wet season to dump continuous rain on you, meaning that even in the rainier months travelers don't need to worry about the weather so much. Even still, the "high season" tends to be the dryer times of the year. How much money will I need in Laos and the Philippines? The Philippines is a nation with a low cost of living and low wages compared to many other Asian nations, but travel costs can still be higher than expected. This is due to several factors. First, transportation can be expensive because of the multitude of islands. Either flights or ferry rides are required to traverse around the various islands, which will quickly add up. Also, in some places, the food must be imported, again because of the islands. Finally, many travelers tend to spend more money on activities in Philippines. While accommodation and food might be cheaper, activities such as scuba diving, water sports, boating, fishing, jungle trekking, and others can significantly add to the traveler's budget. Laos, being one of the poorest countries in the world, has lower prices for generally everything in the tourism industry compared to its Southeast Asian neighbors. Its reliance on backpackers for so long has also left the country with a large number of hostels and budget hotels, adding even more competition to already low prices. And as much of the country's economy is based on agriculture, this means that food is also fairly cheap. In some places, transportation can get a little pricey, but overall, Laos is just plain cheap. 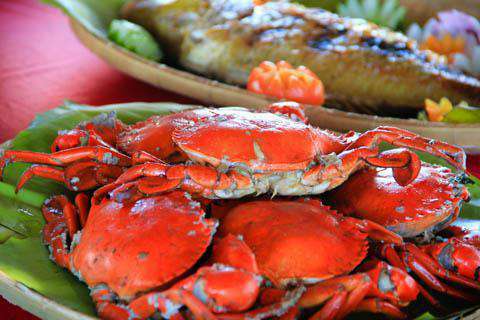 What are the most expensive and cheapest cities and regions in Philippines and Laos? Laos is fairly consistent in prices all over the country, as everything is cheap. However, if you plan to do a lot of activities or tours, this can add to your budget. Tours into the countryside to visit the jungle or nearby wilderness areas tend to add more to the budget of travelers. The cities and towns of Laos tend to be cheap due to the readily available food and accommodation options, as well as more variety and competition. If you're looking for more luxury, such as a nicer hotel or high-end restaurant, then expect to pay significantly more than the budget or mid-range options. How you can save money when visiting Philippines and Laos? As transportation between the various islands of the Philippines can get expensive with flights and ferries, choose one or two islands and stay put. Hopping around will cost you a good deal more.Travel slow. Transportation is one of the highest expenses, so picking a destination and maximizing all activities while there will keep prices down. Eat local, shop local, and stay local to save money. While Laos is not necessarily known for chains and large companies, they do exist in some places but are more expensive. Negotiate for prices, as locals often try to hike up the prices of food and services for tourists. Shop around and know what things should really cost before you commit to purchasing something.